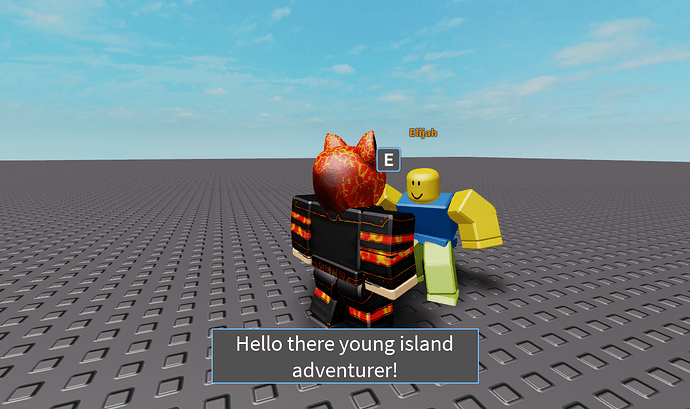 Any thoughts on this NPC Dialogue System I made? I’d love to here your thoughts on this so I could keep it as it is or update it by making it better, thanks! I was thinking about giving the text box some round corners, thanks for the helpful response! 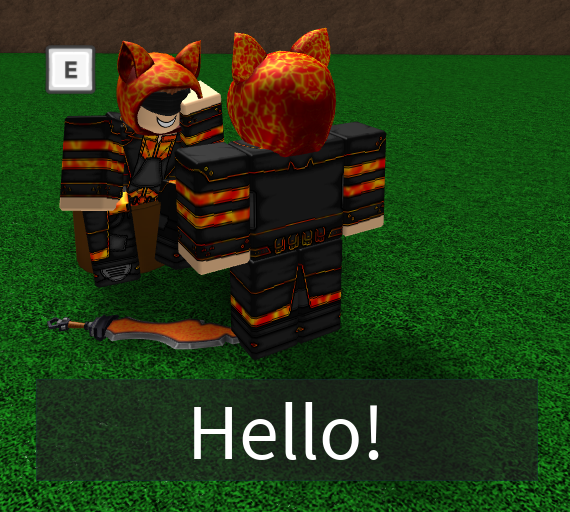 If it could be possible to go first person while you start the dialogue, maybe that would touch it up a bit. I like it, really depends on the type of game. I am not a fan of the text font but it’s really a personal opinion. feel like you should highlight words like taymaster does in his madcity game. it forces you to focus on certan words. It looks excellent! If the text just pops up straight away when you press “E”, use TweenService to make it show up better. If you are planning to make it so that it adds a letter every second [like Hello there youn to Hello there young and it adds letter by letter] make sure you are using TextWrapped and make the text go on the top left and don’t ever use TextScaled. This way, you can read it easier while it pops the text, rather than it being in the center and it is adding letters, making it harder to read. An image itself doesn’t really show what happens like if the text pops out or not, I recommend making a video for it to make it easier to have more thoughts of it, or just make a sample game. What about a slight transparent (0.1-0.4) background on the gray in the chat box? Hey everyone, I just want to thank you all for all of the helpful feedback you’ve given these past five days, and that I’m excited to announce that I’m going to be showcasing some of my other recent things I’ve made in Studio to let you all see for the future! I made another new one just today!